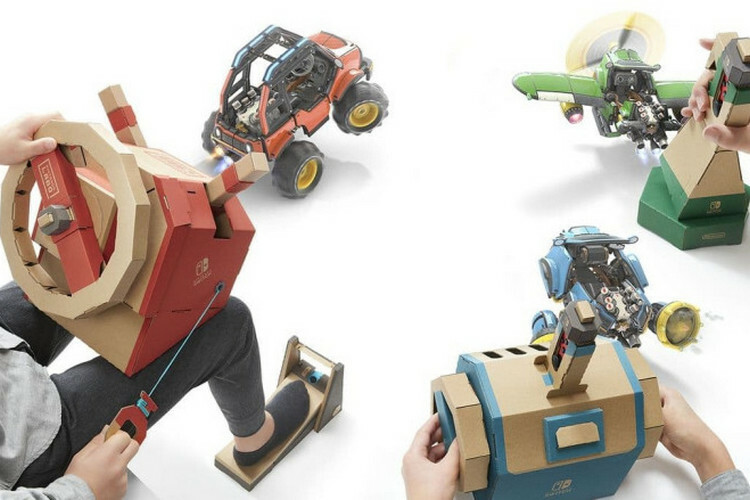 Japanese video game giant, Nintendo, has announced a new Labo cardboard accessory for its Switch gaming console. Called the Vehicle Kit, the DIY package is now the third ‘Toy-Con’ kit after the Variety Kit and the Robot Kit, and lets users build controls for a car, a submarine and a plane. Priced at $69.99, the kit includes 25 cardboard sheets, one reflective sticker sheet, one sponge sticker sheet, one string, four grommet sets, and a bunch of rubber bands in various sizes. Each kit also includes a physical version of the Nintendo Labo Vehicle Kit software. Users can build themselves a steering assembly with shifters, a pedal that can be used as an accelerator, a joystick for piloting a plane, a submarine controller, and a ‘key’ that the Joy-Con fits into. The key can itself slot into various Labo setups to activate and control them. As can be seen in the video, players will be able to race, paint their vehicles, blow up rocks, whizz through the clouds, and more. There’s also a two-player mode that apparently includes cars with extendable arms. The Vehicle Kit is already available for pre-order on Amazon and Best Buy in the US, and will be available to buy from September 14. As mentioned already, this is the third Labo kit to have been released by Nintendo after the Variety Kit and the Robot kit that cost $69.00 and $79.99 respectively. While the former includes five different projects that allows DIY enthusiasts to build RC cars, fishing rods, houses, motorbikes and a piano, piano, the latter comes with “Everything … to make your own in-game mechanized mayhem”.